SANTEE – A celebration of Life for Coach Jeff Armstrong is planned for Saturday, Oct. 20 at 7 p.m. at Pathways Community Church in Santee. Coach Armstrong was a man of such great character and showed tremendous love for his students and players, along with his tutoring of basketball, golf, and life. 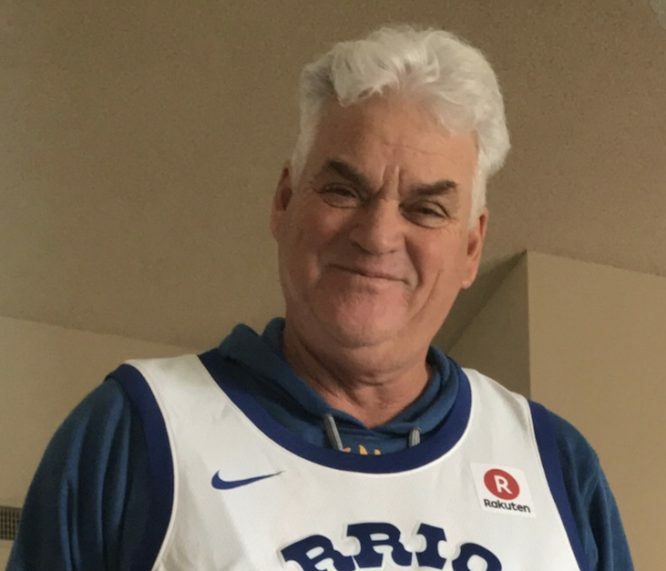 West Hills High School varsity basketball head coach and boys and girls golf coach Jeff Armstrong passed on Wednesday evening, Oct. 3 at his home of an apparent heart attack. Jeff was 63. Armstrong had been coaching at West Hills High since 1996. Coach Armstrong had won more than 400 games at multiple levels of coaching basketball. Principal Robin Ballarin announced Thursday morning the passing of Coach Armstrong to her students. 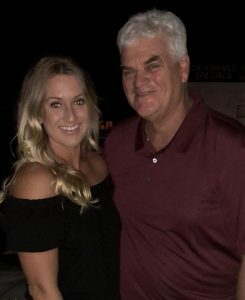 Armstrong had also coached at St. Augustine and Granite Hills, before relocating to Saudi Arabia with his wife, Renate, son, Lucas, and daughter Lindsey, for a coaching job Armstrong took. The West Hills girls golf team has already secured the league title this season, “and for those girls, this is like losing a father,” Barry said. “Coach really showed to me, like he did with all the players and students, that he would do what he could to help me be better, not only on the court and the classroom but with my life in general. I’ve stayed in touch with Coach at least a few calls a month just to check on him. Lucas Armstrong, the couple’s son, played for his dad at West Hills. He is now an assistant commissioner for the Golden State Athletic Conference. Lindsey played soccer at Cal State Dominguez Hills but was a regular at West Hills games, doing everything from working in the concession stand to taking tickets. “Dad was so proud of Lindsey, her academic achievements, getting into nursing school and living out her dreams,” said Lucas. Lucas Armstrong went on to just be so impressed with how many folks dropped everything just to come comfort Jeff Armstrong’s family. Armstrong was one of Ben Foster’s first key recruits at what is now Point Loma Nazarene University. Armstrong could play point or shooting guard equally well. He also was an excellent defender and rebounder. In his two years at Point Loma, 1975-’76 and ’76-’77, Armstrong scored 758 points with 232 assists and 108 rebounds. He led the team in scoring, assists and free-throw percentage during his senior season and had a career-high 35-point game against Cal Baptist. Armstrong was an all-conference selection that season as well as an NAIA honorable mention All-American. He was inducted into the Point Loma Nazarene Athletic Hall of Fame in 2006. Following college, Armstrong had a tryout with the Los Angeles Lakers and traveled with the Harlem Globetrotters as a member of the Washington Generals and California Chiefs. He began his coaching career as an assistant at UC San Diego. 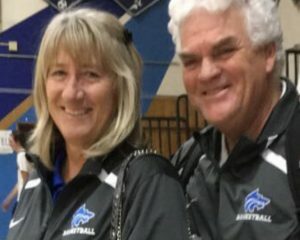 The thing many will all remember about every basketball season at West Hills High, Coach Jeff Armstrong and his lovely wife, Renate, wearing the same blue jogging suits and Renate keeping score for her husband at every basketball game. He will definitely be missed, but his legacy will live on. In recent discussions between West Hills Athletic Director Don Rutledge and Principal Robin Ballarin, they believe there is really only one qualified replacement for Jeff Armstrong at this time, Tim Barry. accepted the varsity head basketball coaching position at West Hills High, beginning this season. Coach Barry will be receiving a lot of assistance and support from longtime Wolf Pack family members, coach Frank Quinones and JV Coach Elias Totah. “I am humbled and appreciative that Lucas, Lindsey, and especially Renate feel is best to keep Coach Armstrong’s legacy heading in the same direction,” Barry said. 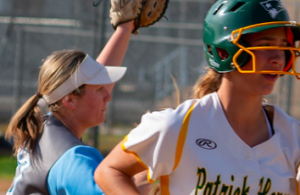 “Renate has let me know that she will continue to be our Pack scorekeeper and statistician. I want to also thank the West Hills administration, especially Athletic Director Don Rutledge, with their belief in me to be the right coach for the job, ” said Barry. It has most definitely been a tough year with so many sports greats passing within the last year. Starting with my own father, Bill Dickens, who wrote about and formed legendary friendships with several of the next few East County icons he touched as well as they touched his life. Bill covered East County athletics for over 47 years and loved all of the local greats. Bill was 68. Fantastic baseball standout Trevor Barnes, and everyone’s friend, Will Burton, who played baseball as a phenomenal pitcher for the Eagles, and a heck of a tight end that was also a bear of a defensive end that took both sports very seriously. 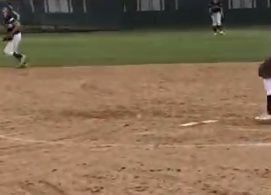 Burton had stated to current Granite Hills Athletic Director James Davis as the football season came to an end that his real love was baseball. Both of those boys were taken from all of us way too soon. It was a very tough year for the Eagles as the longtime legendary former head baseball coach for some of the best Eagle squads ever, Gordy Thompson, left us. Gordy was a very disciplined head coach, but would defend his players to the end, and made sure his players took care of business in the classroom, as well. 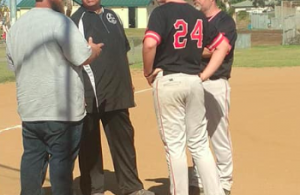 Another great loss from Santee, we lost Santana Sultans Baseball great, Jerry Henson, who coached the varsity baseball squad from 1991-2009, winning 340 games, but also had similar traits that our most recent East County icons who have passed, possessed, as a role model, a father figure to his players, a mentor, and loved his family and community, just as he did baseball. 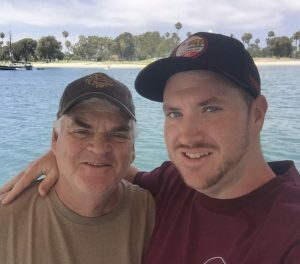 Recently we lost another great coach from Valhalla High, Carter Yarborough, in a terrible accident, and former Grossmont College Griffins football Hall of Fame coach Dave Jordan, who quickly turned around a struggling football program in 1974 and won a National Championship in 2005 with his son, Mike Jordan. Dave Jordan wanted to teach his players not only the game of football but discipline and the benefit of being well-educated. Jordan had a 70 percent transfer rate to top four-year universities.